Nothing beats making an impression and standing out from the crowd before anyone has even opened your graphic design portfolio book. This is what we help you do best and our latest custom portfolio is no exception. We completed this 11 x 14 landscape custom engraved and die-cut portfolio cover on a white acrylic portfolio book. The geometric design really pops with this over-sized engraving and the designer’s name that’s been treated as a die-cut. Have a interior design, graphic design, photography, or fashion design custom portfolio idea you’d like brought to life? Peruse through the Klo Portfolios website and the Klo Flickr page to see our latest work and get a sense of what possibilities lie at your finger tips 🙂 Feel free to shoot us an email at info[at]kloportfolios.com if you have any other questions. 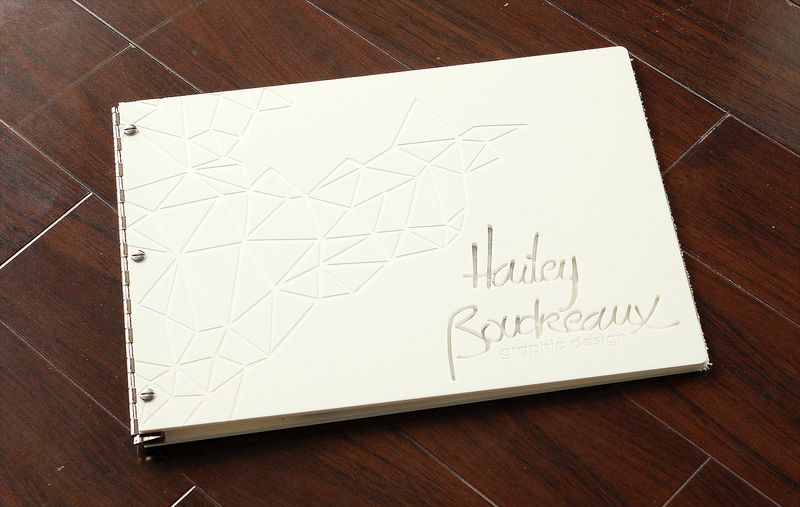 Custom-cut 11×14 white acrylic portfolio with engraving and die-cut treatments on the cover. 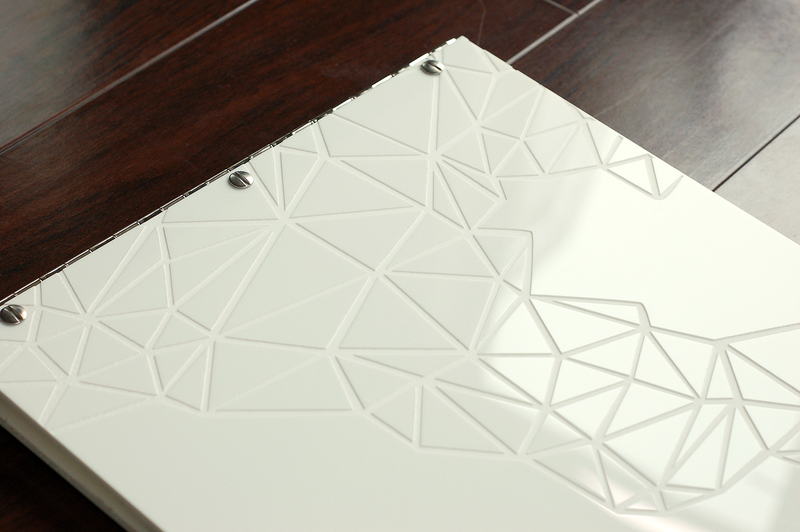 A closer look at the geometric engraving treatment on this custom white acrylic graphic design portfolio book.